There are plenty of purported hangover cures floating around, but this one is backed by science. And while it might not be quite as appealing the morning after as a greasy breakfast, it sounds sweet enough. While studying the many health benefits of the humble pear, researchers at Australia's Commonwealth Scientific and Industrial Research Organization (CISRO) found that consuming 220mL (just under one cup) of Asian pear juice before drinking alcohol will lessen the effects of a hangover the next day. It's important to note that the pear juice has to be consumed before the alcohol. So stumbling home and downing a glass of juice just before passing out won't do the trick. But if you plan ahead, this home remedy should dull that splitting headache and help you regain concentration the following morning. In a Q&A on the CISRO site, lead researcher Manny Noakes said, "It appears that the factors in Korean pears act on the key enzymes involved in alcohol metabolism, alcohol dehydrogenase (ADH) and aldehyde dehydrogenase (ALDH) to speed up alcohol metabolism and elimination or inhibition of alcohol absorption." 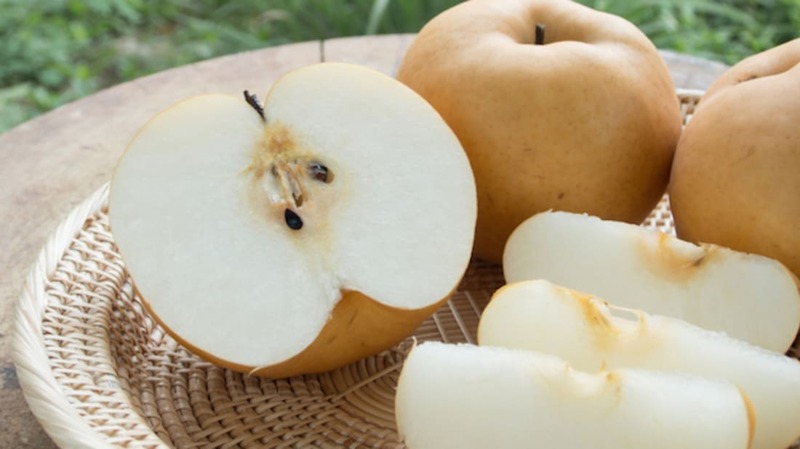 It's unclear yet if other pears work as well as the Asian variety (also known as the Korean pear), or if eating the whole fruit has the same effect as drinking the juice. But if you've got a long night ahead followed by an early morning, you might want to find some pear juice to drink up beforehand.